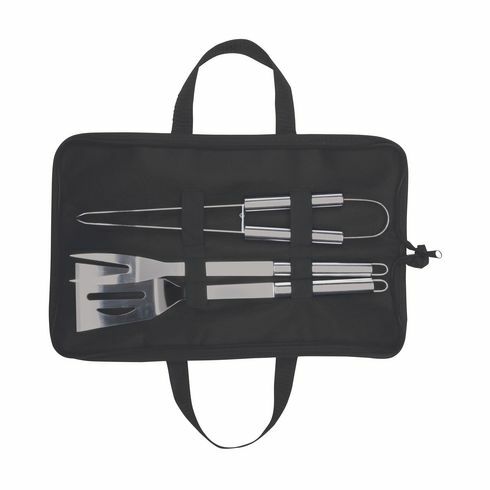 3-piece stainless steel BBQ set: • spatula • fork and • meat tongs. 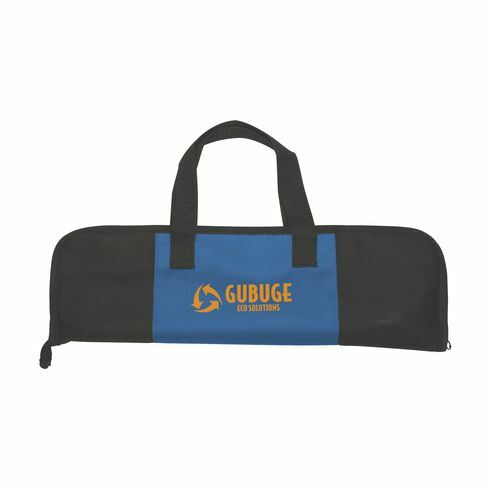 In a non-woven pouch with an extra nylon pocket on the front. Conforms to EU standard (2004/1935/CE).